Strectching roughly from Noosa to Caloundra, the Sunshine Coast sits between the Pacfic Ocean and the Blackall Mountain Range. With nearly 300,000 in population the 3 shires of Noosa, Maroochy and Caloundra were recently combined into one Government Area - the Sunshine Coast Regional Council. This region has more National Parks than any other in Queensland, 5 in total. 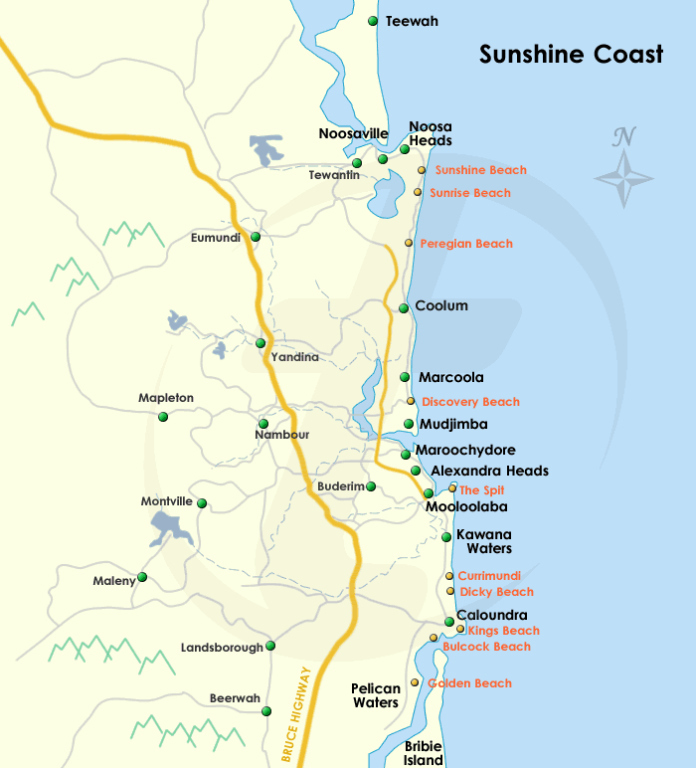 These include Noosa National Park, The Glasshouse Mountains National Park and Mapleton Falls National Park. Back to Sunshine Coast Accommodation.